You can install the RR/RRR device on the pad printing machines with 2 or 3 colors of Comec Italia. 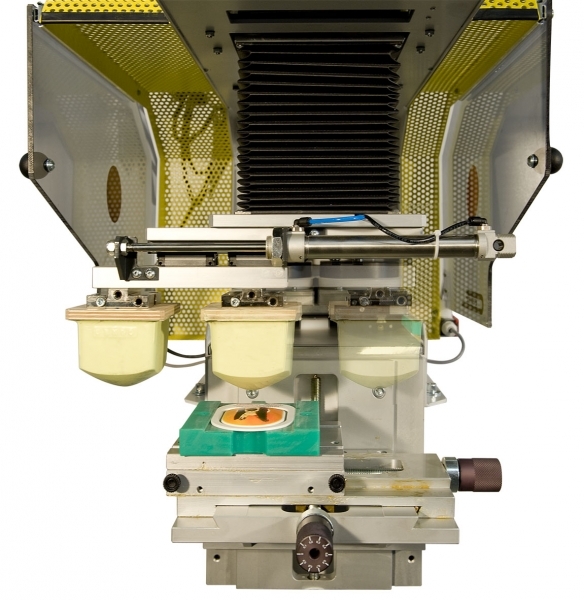 It allows the work piece in a fixed position during printing of 2 or 3 colors. It is suitable for small runs, in that the use of this device reduces the hourly productivity, which amounts so around 600/700 pieces/hour for 2 colors and 500 for the 3 colors. The advantage is that you do not need to install feeders or rotary tables, which results in a significant cost savings.